(Bloomberg) -- McDonald’s Corp. has its own wall problems. They’re both literal and metaphorical. The world’s biggest restaurant company is creating strife with its U.S. franchisees by including a new wall in a remodeling plan. 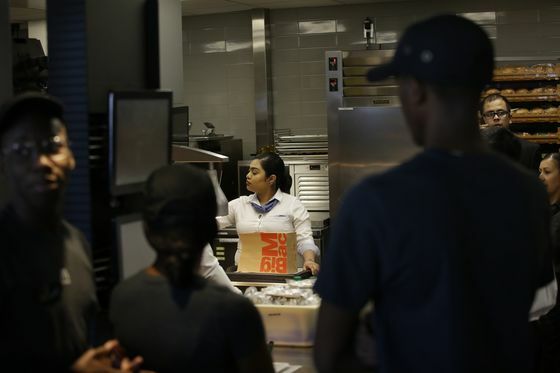 McDonald’s restaurant owners are arguing that adding a barrier between cashiers and kitchens -- intended to hide unsightly kitchen equipment -- is a waste of money and doesn’t help customer service or operations, according to letters and an email viewed by Bloomberg News. The division shows how McDonald’s big push to revamp thousands of U.S. locations has encountered hiccups lately. 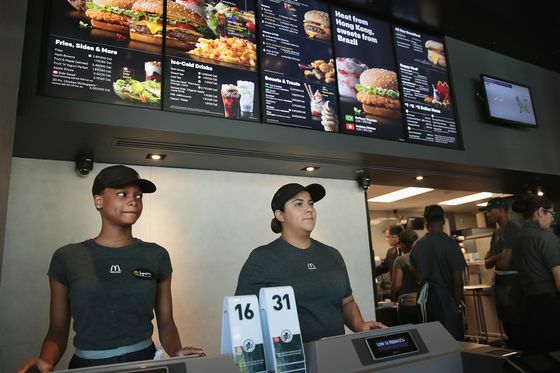 In an effort to stay ahead of fast-food competitors and keep same-store sales growing, Chief Executive Officer Steve Easterbrook is championing remodels that include self-order kiosks, new systems for delivery orders and extra drive-thru lanes at some restaurants. But the company recently said it’s delaying those renovations by several years to appease franchisees who have complained about the expensive changes. Franchisees own more than 90 percent of McDonald’s 37,000 locations globally. The so-called SAM walls -- short for service area modernization -- would potentially hide equipment, or a cluttered kitchen. It syncs with the company’s move to appear more upscale and its recent addition of table service. While McDonald’s doesn’t comment on internal discussions, the company is “committed to continuing to work closely with our franchisees so they have the support they need to run great restaurants and provide great quality experiences and convenience for our guests,” according to an emailed statement from spokeswoman Andrea Abate. A new group of McDonald’s franchisees formed last year to foster “true collaboration” with the parent company. The group, dubbed the National Owners Association, has held meetings to discuss concerns such as cash flow and profitability. Last month, more than 1,200 McDonald’s franchisees and suppliers gathered in Dallas. Key among the concerns is the remodel additions that include the contested wall. Renovations such as a large wall can be costly for franchisees, who say a proposed barrier could also create security concerns, according to a survey of about 245 McDonald’s store owners that was viewed by Bloomberg News. Kitchen staff wouldn’t be able to see the dining room or customers entering and leaving the restaurant. The survey was done by the National Owners Association. In a letter dated Jan. 15, the group’s president Blake Casper said that franchisees should stop their remodel projects if they think the walls are a wasted investment. Casper, also a McDonald’s store owner, and the group declined to comment.